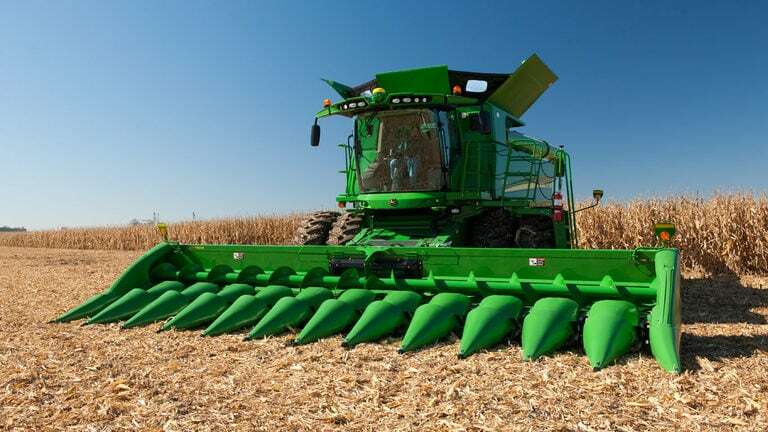 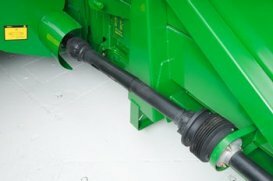 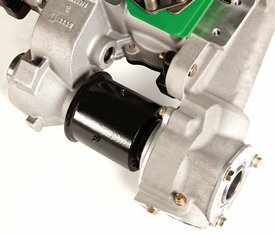 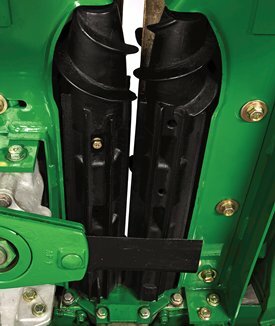 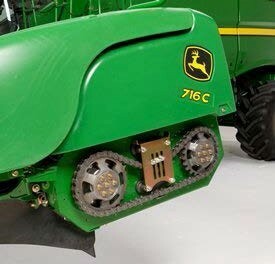 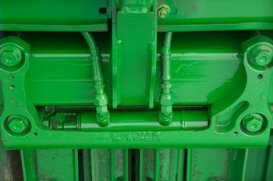 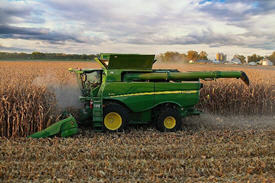 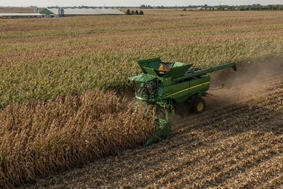 AutoTrac RowSense is a solution that increases machine efficiency and reduces operator fatigue for corn growers. 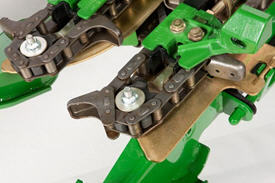 AutoTrac RowSense offers operators the same high levels of convenience and productivity experienced in other crops or with AutoTrac-equipped tractors and AutoTrac RowSense on self-propelled sprayers. 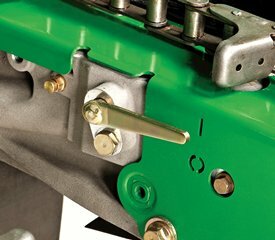 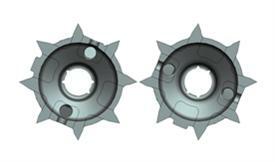 Each StalkMaster row-unit gearcase is equipped with two heat-treated and wear-coated rotating blades positioned below the stalk rolls. 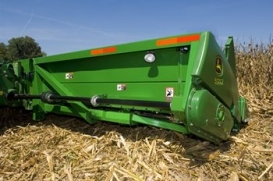 As stalks are pulled through the rolls stalks are cut to size and distributed evenly throughout the row. 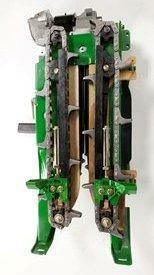 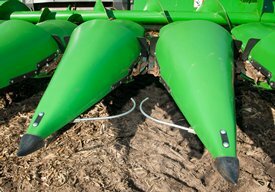 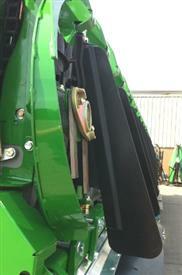 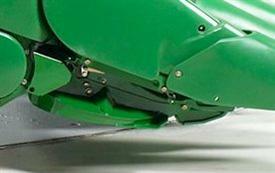 If the blades encounter an obstruction they will swing backward avoiding damage and interruption to harvest. 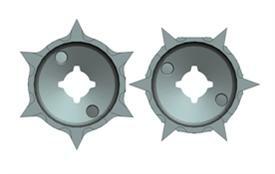 Blades can be reversed to extend their useable wear life. 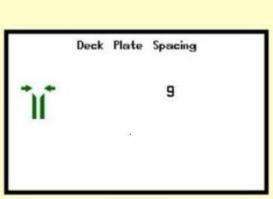 The deck plate spacing indicator is displayed on the corner-post display and on the Gen 4 display on the armrest.